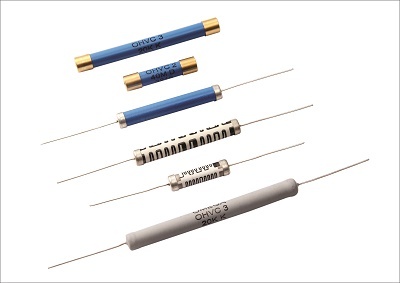 Homogeneous film of conductive & resistive ink is screen printed high alumina rods.Pre-welded tin coated electrolytic copper wire spot welded on center of the end caps are force fitted from both sides. Triming machine is used to achieve the highly precise resistance tolerance by triming . The resistor are coated with powder coating or screen printed with polymer coat for electrical, mechanical and climatic protection. Marking is done with respect to type, designated value,tolerance and date code on coated Resistor.